class B quarterfinals. Tuesday, March 13, 2018 in Cadillac. 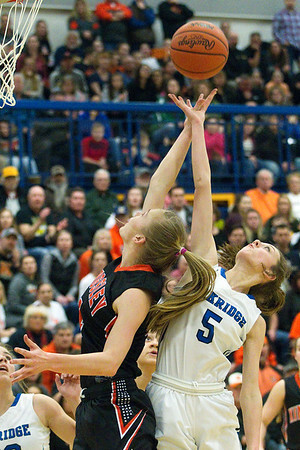 Kingsley's Rebekah Crosby (4) and Oakridge's Halle Jennings (5) fight for a rebound in the first quarter of Tuesday's class B quarterfinal in Cadillac.